With the approach of spring, you’re probably thinking of giving your house a thorough spring cleaning. Perhaps you’re also planning to redecorate your living room with a whole new look. Read on for some creative ideas on how to update your living room. 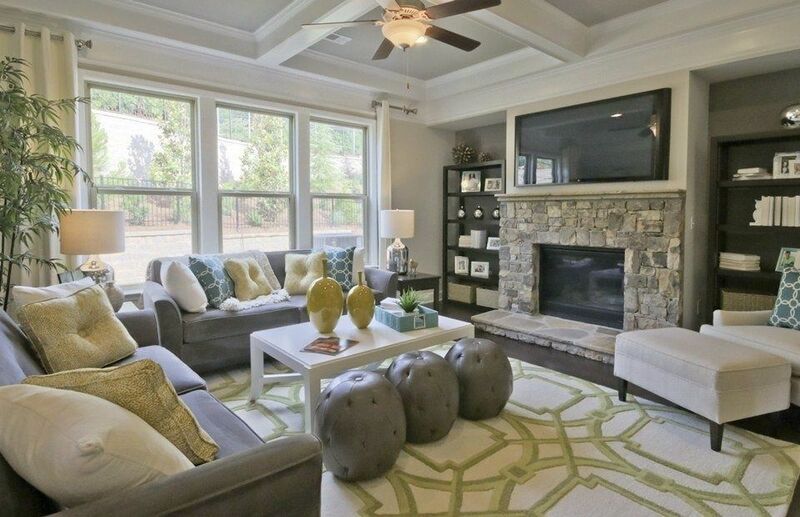 Your living room is a place to unwind, spend time with family and friends and socialize. Thus, it’s a room both for entertaining and enjoying some quiet time. It should be soothing and relaxing and provide enough comfort. If your living room looks too cluttered, remove some of the unnecessary furniture and keep just the bare essentials. It should be calming, and not to look like a congested furniture store. If you feel that there are too many empty spaces however, try to fill them up by adding items like coffee tables, cabinets and side tables. If some areas of your living room lack proper light, purchase designer lighting such as lamps and sconces to brighten them up and add a touch of glamour. TV units have come back into fashion this year. Gone are the days of large screen plasma TVs mounted on the wall. Not only did this look unattractive, it also made the living room look more like an entertainment area than a place to relax. So consider getting a stylish and up-to-date TV cabinet. Choose one that matches your living room décor and compliments the colour scheme. You needn’t go for an oversized, expensive cabinet when a simple and minimalistic one would do. If the wires of your TV or other electronic items are visible, this could ruin the appearance of the room. Make sure you tuck them away behind the cabinet. If you’re a bookworm who wants to put your collection of novels on display, purchase a quaint bookshelf or a small rack to hold your books and a few ornaments. For a living room that is somewhat small in size, stay away from furniture that looks too heavy. Instead pick lightweight pieces that will look more compact. If your sofas are worn out or faded, consider getting them newly upholstered. Remember to maintain your furniture too. Fabric upholstery is an affordable option, but it requires regular cleaning and vacuuming. On the other hand, leather is more costly, but with regular maintenance, it’s more durable. When you buy new seating items or get your old ones upholstered, ask about the best products that could be used to clean and polish your couches and sofas. This is one of the easiest and most effective ways to transform any room. Bold colours are trending this season, especially deep violets, blues and greens. Neutral tones are still in, but for a really dramatic effect, consider a unique shade. Feature walls are also popular, so if you don’t want to paint your whole living room, you could do just one wall instead. These are just a few ways you can transform your living room this spring.